Taking turmeric together with statins to lower cholesterol levels does not cause any adverse health effects. Both turmeric and statins are potent lipid-lowering agents. Turmeric can be used as an adjuvant in statin therapy to reduce the dosage of drugs. It can also alleviate several side effects associated with statin use. 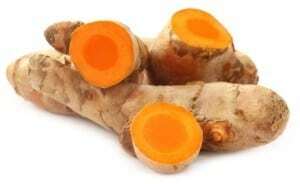 Intake of turmeric in the diet is considered safe. However, curcumin, the active ingredient in turmeric can interfere with the process of drug metabolism. Hence, it is advised to maintain a gap of 3-4 hours when taking turmeric supplements and statins together. Let us know what scientists have to say about these effects. Turmeric Interactions with Statins Can you Take Both Safely? Statins are commonly used compounds used for treating hypercholesterolemia. There are different types of statins like atorvastatin, simvastatin, lovastatin, pravastatin, pitavastatin, fluvastatin, and rosuvastatin. Statins reduce cholesterol by inhibiting the HMG-CoenzymeA reductase enzyme which is responsible for cholesterol synthesis in the liver. Several studies have reported that curcumin in turmeric also targets the same pathways as statins for reducing lipid levels. It also acts as an inhibitor of the human HMG-CoA reductase enzyme. Turmeric can be used as a natural product to normalise cholesterol levels and prevent related cardiovascular disorders. Research has also stated that the lipid-lowering effects of turmeric are comparable to those of statins like atorvastatin and lovastatin. Golden paste incorporates black pepper and healthy fats with turmeric to improve its bioavailability. Piperine, the compound in black pepper acts as a bioenhancer which increases turmeric bioavailability by the body. Piperine has also been reported to lower lipid levels and increase HDL-concentrations. 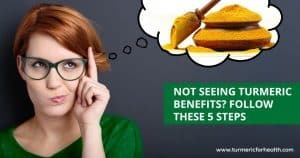 Thus turmeric and golden paste have the potential to act as a natural supplement to aid in the treatment of high cholesterol, lower the dosage of drugs and their side effects. No adverse effects on the health of taking either turmeric or black pepper along with statins have been reported by any studies. In fact, nanoformulations comprising of both curcumin and statins have been developed to provide better results in atherosclerosis. However, more studies need to be conducted to determine the dosage and safety of turmeric when used along with statins. Some studies have reported that turmeric decreases the activity of Cytochrome P450 enzyme which plays a vital role in the metabolism of various drugs. This means that if curcumin or turmeric is taken in significant amounts, it can decrease the metabolism of drugs and increase their concentrations in the blood. If drugs are not metabolised appropriately, their therapeutic action may be lowered. These are just preliminary studies, and more detailed studies and trials need to be conducted on humans to ascertain these effects. On the other hand, piperine in black pepper enhances the absorption of drugs by the body. Statins are usually taken for long-term, and their increased absorption will also increase the adverse effects caused by them. Nonetheless, turmeric and golden paste offer many benefits which should not be missed due to their ability to influence drug availability. There are many studies which suggest the use of turmeric as an effective adjuvant to statin therapy. Dietary turmeric contains low amounts of curcumin and is unlikely to present with these effects in a significant manner. However, while taking turmeric supplements and statins, it is better to maintain a gap 3-4 hours to avoid possible interactions. The dosages of turmeric or curcumin supplements and statins should be carefully formulated by consulting with a medical practitioner. Statins are known to pose the risk of several side effects including myopathy, muscle pain, diabetes mellitus and liver problems. Turmeric is considered safe for consumption, is well-tolerated and has no severe side effects. Moreover, it can alleviate the side effects of statins. It can lower myotoxicity, muscle inflammation, pain, soreness, muscular atrophy and regenerate damaged muscle cells. It can also assist in the prevention of diabetes and normalise the levels of liver functioning enzymes. This makes turmeric an even more beneficial add-on therapeutic agent in statin treatment. One of the best aspects of turmeric is that is extremely easy to take and there are infinite possibilities in which you can have it. Raw turmeric, turmeric powder, and Tumeric supplements are the 3 ways one can include turmeric in their life. Raw turmeric is great, but not available everywhere and throughout the year. 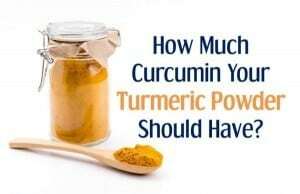 The most popular way is turmeric powder. 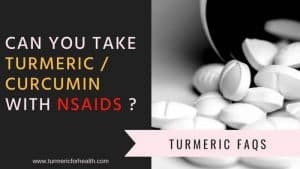 Have you taken turmeric along with statins or otherwise? If yes, do share your experience with all of us by commenting below.